Convert your ice fishing flasher for open-water use. 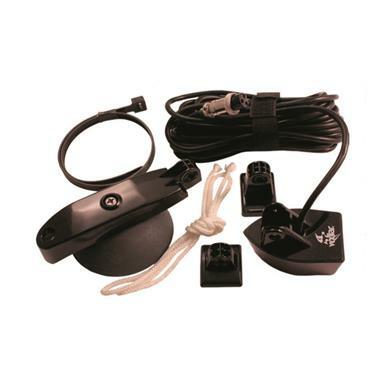 This Vexilar® TK-100 Open-water Transducer Kit has everything you need to mount your FL Flasher externally for high-speed use in open water. Includes 20° transducer, external high-speed bracket, suction- cup mount for portable use, and electric trolling motor mount. Works with all Vexilar® Flashers except FLX-28.